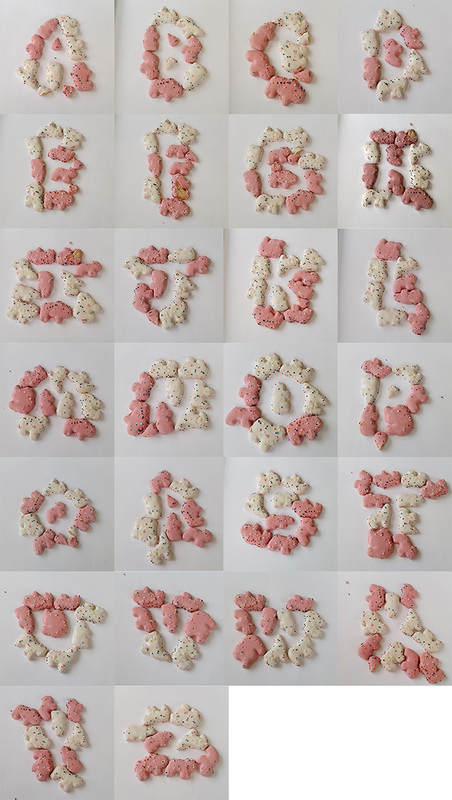 As an in-class exercise, I had my Expressive Typography students create their own alphabets out of random items, like office products and food scraps. They had about 45 minutes to create all the letters in an alphabet in groups of 2 or 3. I let each group pick their medium, but they could only use one medium for all the letters. The results were pretty fun! By me, while they worked in class.